Drones are increasingly being used for agricultural purposes. 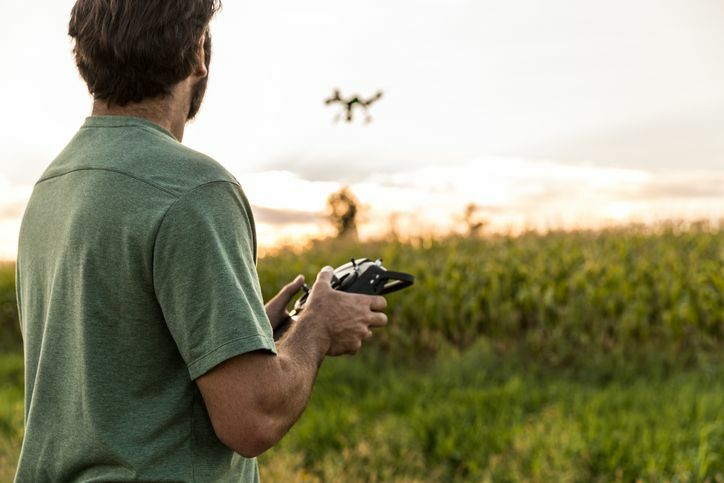 Many farmers use drones to survey fields and discover issues with crops before they spread. For example, drones can provide infra-red imaging of crops that show plants with fungal infections, infected plants will not reflect as much light as a healthy plant would. Drones are also used to spread pesticides over crops at a much lower price than manned aircraft. However, until recently drones have continued to waste pesticide throughout the application. Researchers at Japan's Saga University have developed a specialized drone to combat pesticide waste. The drone scans crops for clusters of insects and delivers an incredibly precise pesticide application to affected areas. It is also designed to carry a bug zapper at night which draws insects to the drone where they are either fried by the zapper or sprayed with a precision blast of pesticide. Benefits of the precision application method are a decrease in pesticide use while enabling farmers to continue protecting their crops. This more precise approach will also help farmers, farm workers, and farm animals avoid harmful contact with pesticides. The research team hopes this method will eventually replace the more indiscriminate airplane application method. This entry was posted in Drones, Pesticide and tagged Commercial Drones, Drones for Pesticide.